Jenna is the manager at Music and Arts Cedar Hill. She began playing the clarinet in 2002, and has been performing with various bands and orchestras since that time. She has had the privilege of performing with ensembles in some very prestigious venues, including the Kennedy Center in Washington, D.C., Bass Hall in Fort Worth, the Winspear Opera House in Dallas, and the TMEA Convention in San Antonio. 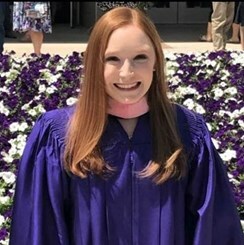 Jenna holds a Bachelor of Music in Clarinet Performance from the University of Texas at Arlington and a Master of Music in Clarinet Performance from Texas Christian University.